Is there really such a thing as a professional gambler? The answer is an unequivocal yes! The truth is that there are many thousands of people who make a good living exclusively for gambling. It´s not easy, but it can be done. The key idea is to understand which games are beatable and how to beat them. 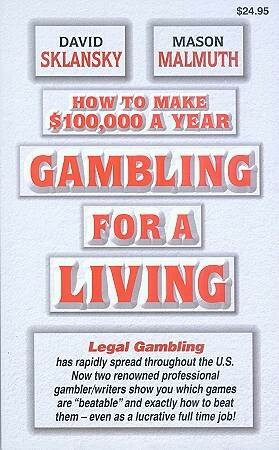 This book was written for the not-so-experienced aspiring gambler. It shows you everything you need to learn and do if you want to gamble for a living both from practical and the technical standpoint. The rest is up to you.